Fortnite Marshmello is something of a history dating back to the first major Fortnite Invitational. Leaks discovered Tuesday indicate that history has only just begun, as the DJ may be set to host the first ever in-game Fortnite concert. Here's everything you need to know about Marshmello and Fortnite. 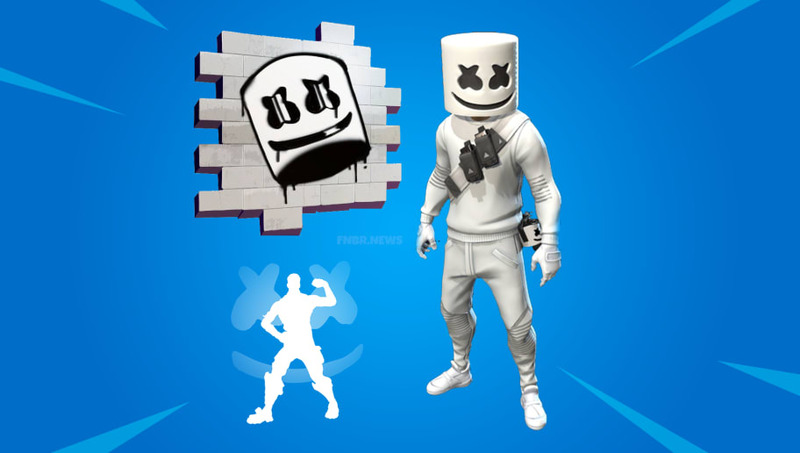 According to files discovered by Fortnite data miners Tuesday, Marshmello's face will soon be all over the game. A Fortnite skin, pickaxe and spray have all cropped up in the files, and appear to be ready to go live as a bundle purchase. The leaks also indicate Marshmello will perform an actual in-game concert Saturday at 2 p.m. ET in Pleasant Park. According to the leaks, the concert will be set in its own limited time mode, titled Party at Pleasant Park, which will feature respawns. The concert theory is supported by leaked objects including speakers, a stage and lights. Fortnite and Marshmello previously crossed paths ​at the E3 celebrity invitational tournament, where he and Tyler "Ninja" Blevins took home first place.